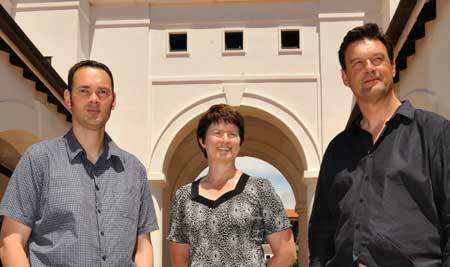 Dr Bevan Catley, Dr Dianne Gardner and Professor Tim Bentley of Massey University. New research on workplace bullying suggests nearly one in five workers in the New Zealand hospitality sector, which includes hotels and restaurants, has suffered from some form of workplace bullying. Researchers identified the kitchen as a literal hot-spot for overbearing and belittling behaviour, and say it has become "normalised" as an accepted as part of the hospitality culture. Study leader Professor Tim Bentley, associate head of the University’s School of Management in the College of Business at Albany, says the findings showed stress and bullying are at high levels when compared internationally. And it is not just cooks, waiters and bar staff copping it at work. Employees in three other sectors – health, education and travel – have similar rates of bullying to hospitality workers. The researchers had already identified those sectors of the workforce as at higher risk of bullying and, funded by the Department of Labour and the Health Research Council, they surveyed 1728 workers, including doctors, nurses, teachers and academics as well as hotel and restaurant staff. In health and education, ineffective leadership was identified as one of the main factors leading to increased stress and bullying. The study found that employers in all four sectors had limited understanding of the workplace bullying problem and how to address it. Reporting structures were not effective with bullying included as part of wider harassment or violence initiatives. Dr Bevan Catley and Dr Dianne Gardner from Massey University were part of the multidisciplinary team that conducted the research alongside Professor Michael O'Driscoll (University of Waikato), Dr Helena Cooper-Thomas (University of Auckland), and Dr Linda Trenberth (Birbeck, London).